Please click here for the latest issue of SAAGNY Life. 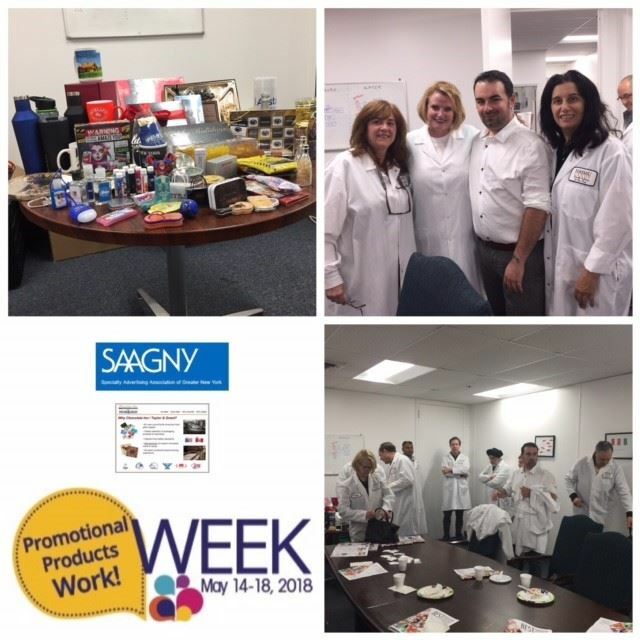 Welcome to all of our new SAAGNY members! The competition was extremely strong this year, as it is every year, and the judges had a difficult time reaching their decisions. These scholarships are awarded annually. Join me in congratulating our winners and applauding the efforts of all of our applicants. Congrats SAAGNY's own Sean Kurtzman! Congratulations Sean Kurtzman, Midnite Snax, for being named to ASI's 2018 Hot List - one of the new stars shaking up the promo market with their ambition, empathy, and passion to be the very best. 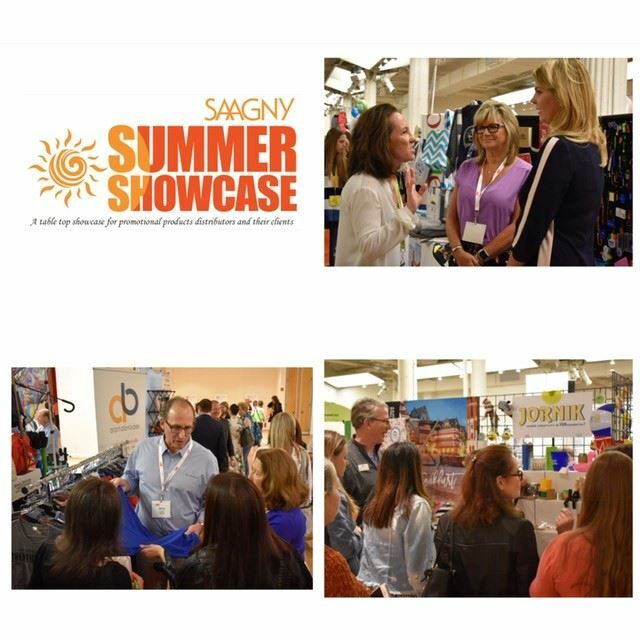 The Specialty Advertising Association of Greater New York (SAAGNY) hosted their sixth annual Summer Showcase for promotional products distributors and their clients yesterday. The event attracted a record number of exhibitors, distributors, and end-user clients. Traffic on the show floor was brisk from the time the show opened at 10:30 am until it closed at 3:00 pm. End-user attendance increased nearly 15% from last year and has more than doubled since the show began. Distributor attendance increased 15% from 2017, with over 650 attendees at the show in total. The show floor was slightly reconfigured this year to accommodate additional exhibitors and sold out with a total of 80+ supplier and multiline representative companies occupying 140+ tables, up from 115 tables in 2016 and 120 tables last year. Over 200 distributor sales people representing over 80 companies had clients in attendance at the show, which included a “Best In Show” display, featuring favorite items from exhibiting suppliers, a gourmet lunch for all in attendance, an ice cream cart for a sweet afternoon treat and gift bags for the end-users, filled with promotional products from more than 10 exhibiting suppliers. I Won a Raffle at a SAAGNY Show! 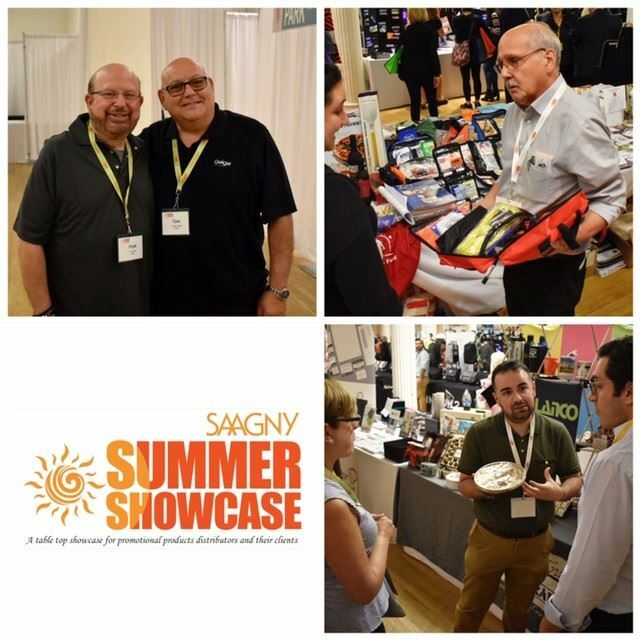 Congratulations to our raffle winners from the SAAGNY Summer Show! SAAGNY Is on the Road Visiting Chocolate Inn! SAAGNY was on the road today visiting Chocolate Inn. This factory tour coincided with the second day of Promotional Products Work! Week. Today was a great opportunity for the distributors in attendance to see Chocolate Inn and all its products being made and what they can do for clients. SAAGNY took a tour of the Southern Hemisphere with WINE! Thank you to all who attended the event last evening - including a couple of past SAAGNY Presidents. What a great night to be in CT for a Wine Tasting at Total Wines & More! It was a wonderful opportunity to mix and mingle with new colleagues and old ones and sharing ideas and issues. Thank you Fairytale Brownies for the yummy goody bags! 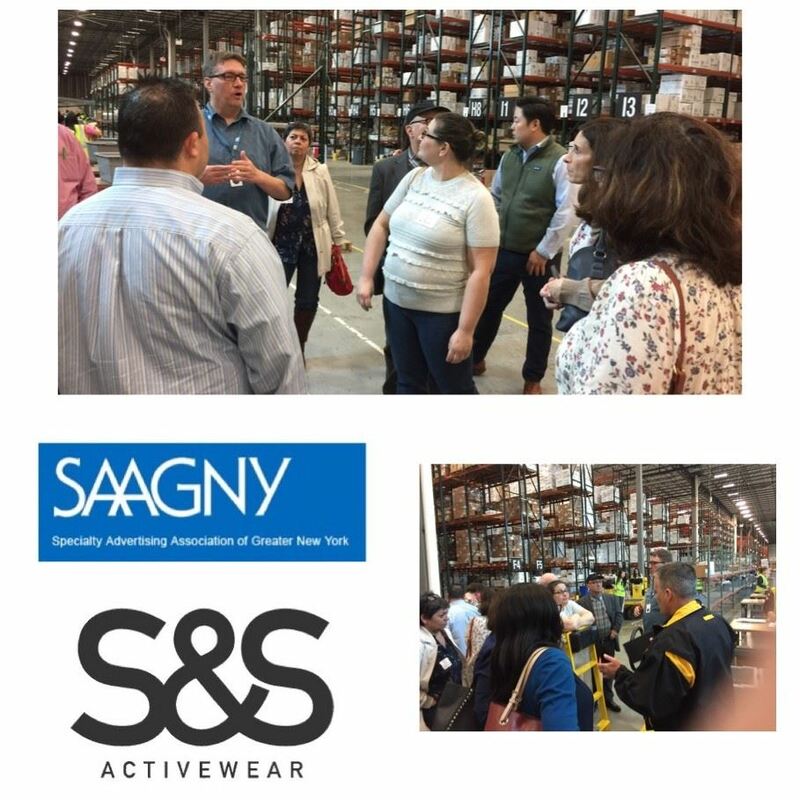 Great day for all who attended the tour of the S & S Distribution Center in Robbinsville, NJ.